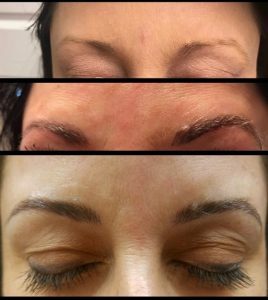 Contact us to schedule your free consultation if you are interested in learning more about the amazing effects of microblading. 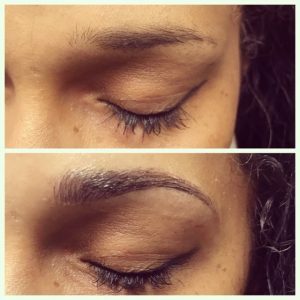 Microblading is performed by an esthetician or a certified tattoo specialist. This procedure is a form of semi-permanent tattoo that will last anywhere from 6 months up to 4 years but will require touch-ups at different intervals. 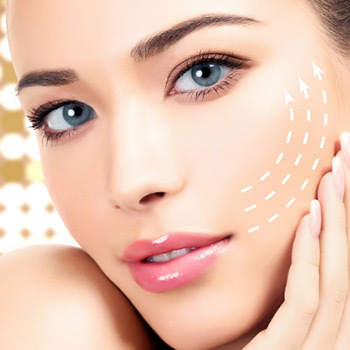 You will start the procedure by meeting with the esthetician to go over what you want to get out of the procedure. During this time, you will also decide on the shape and pigment for your eyebrows. 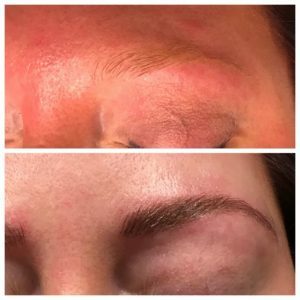 After you have decided on the shape and pigment of your new brows, the esthetician will begin the procedure. During the procedure, the esthetician will use a blade that is made up of tiny needles to make superficial cuts where he or she will deposit the selected pigment under your skin. 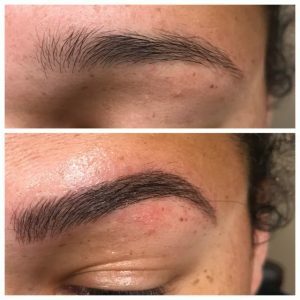 This thin blade allows the esthetician to create small, hair-like strokes that will look completely natural and blend in with any brow hair that you already have. 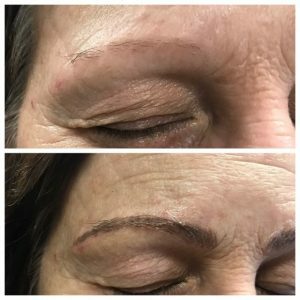 All clients can leave the Rejuvenation Center with gorgeous looking brows that very same day, however, newly microbladed brows cannot get wet for the first week, as this could remove the pigment. 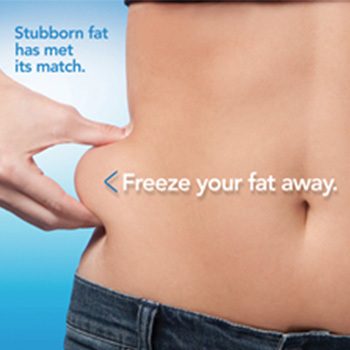 Between four to six weeks after your procedure, you will come back to the Rejuvenation Center for a touch-up. At this time, we will make sure that your new eyebrows are exactly to your liking and touch-up any spots that may need more pigment. 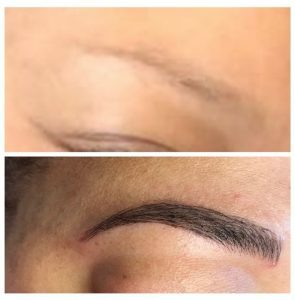 Microblading lasts up to three years and you can schedule yearly touch-ups or a color boost when needed. The Rejuvenation Center is proud to serve Ohio, Pennsylvania, and West Virginia. If you are interested in microblading or any of our other facial services, contact us today to schedule your free consultation! * Individual results vary. Images do not constitute a promise or representation of any particular outcome.